While link building is an important for SEO, the million dollar question is, are your building the right type of links for your website? The truth is, not all links are good for your website and not all links are created equal. 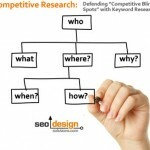 Depending on (1) your website (2) the keywords (3) your competition and (4) the resources you have available to leverage ultimately increase or decrease the amount of effort required. 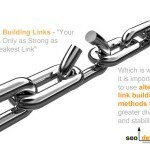 Are you building the right type of links? If you’re going to build links, then BUILD THE RIGHT TYPE OF LINKS and keep in mind that the quality of the link is far more important than quantity. To assign a metric of link strength using a logarithmic scale (like PageRank), a link from a PR 4 is 5 times more powerful than a PR3, a link from a PR 5 is 5 times more powerful than a 4 and so on (moving up or down the scale). Keep in mind that PageRank is not the only metric for links; there are multiple metrics that are equally as important for link building (which we will discuss briefly in this post). Also, relevance and trust are equally as important to pass along the proper type of citation. While link diversity is important, link quality over quantity should be your preferred tactic for “creating lift” to propel rankings to the top of the search engine result pages (SERPs). Number of inbound links to page (providing link). Number of outbound links from the page providing the link. Duration of the link (temporal, cyclical, static/permanent, etc.). Topicality (is the link provided from an on topic or off topic site). Trust of the domain providing the link (Neighborhood). Velocity (gaining or losing too many links at once). Is there sufficient supporting internal links with the preferred anchor text to the landing page? Is your landing page over-optimized or under optimized? Is the primary keyword reflected in the title, URL, H1 and on the page in the first paragraph in the body area to signify contextual relevance? 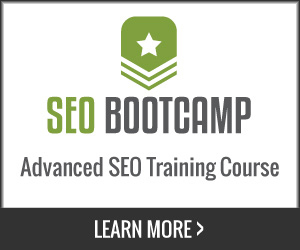 Is the landing page canonicalized or are there parameters in the URL splitting the link equity? 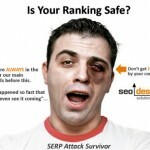 Are you linking out excessively from the landing page in essence bleeding out ranking factor? If the content themed and supported by other supporting “semantic” articles? How old is the page, the site? Depending on where you are at in the stage of your website (new, aging, seasoned, etc.) 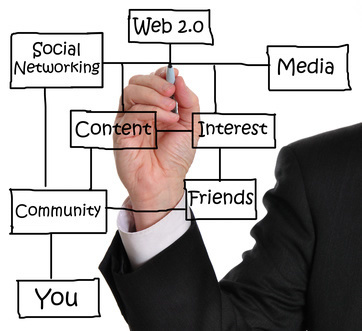 will determine the type of link building strategy you can implement. To create a hypothetical circumstance from a combination of metrics above, imagine you have a new domain with no trust and until now you have only gotten hundreds of low quality “noise” type links (such as article directories or pages without Pagerank, rankings themselves in search engines or trust); what would your site benefit from the most? In this exchange a few high PR links from a neutral or themed website (preferably a segment from an .edu site on the subject), an editorial piece in a newspaper (website) whose links pass trust or links from a source like PRweb.com for a press release are all ideal for a website in this phase of development. On the contrary, if you have a seasoned domain that is stuck on page 3 for your keyword and need to build links to your category or supporting pages to push that ranking factor up from internal pages to your primary landing pages or categories (which in turn can rank other pages), then in this scenario you won’t need high PR links, just IP diversity and citation from various online sources (blogs, directories, article marketing, etc.). 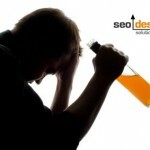 With SEO, there is a time and place for everything, if coordinated properly. I am not saying that a link without Pagerank or trust is worthless; I am merely saying that depending on the keywords you target, you will have to create a more robust link profile. Why not get 10 links that are equivalent to 1000 links from off topic sources? You may have to get creative with your approach, such as offer to guest post, call an editor of a magazine, newspaper, or ezine and see if they’re open to writing a piece (if you provide an expert angle or sorts to the story), etc. The point is, mix it up but don’t get carried away on the noise, find links that count and use the right tool for the right job. In case you need to get started, here is a quick resource for strong directories that have Pagerank, age and trust. Or, if you are out of ideas, here is a post on other ways to build links to think outside the box. 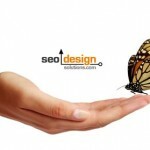 Here are links to previous articles on link building from SEO Design Solutions. If you enjoyed this post, then do the right thing and share this with others on Twitter, Facebook or the web. Jeffrey_Smith Jeffrey_Smith Stop Building Worthless Links! Im really impressed by your site. 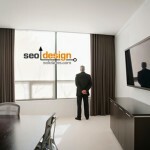 Thanks for sharing your thoughts on Link Building. Please feel free to share this and other posts with others.